It is hard to say when "belly dancing" started and where. I have created this page to help reveal it's mysteries. I have gathered books, web sites, articles, anything I could find on this subject. Also included on this page is information about the different styles of dance and types of dances. This is not an all inclusive list of resources. New items will be added when I run across them. I hope you enjoy exploring this wonderful art form. Articles - The below articles are linked from web sites. Primer on Middle Eastern Dance Styles - Beginners are often confused about the many dance styles in Middle Eastern dance. Our dance comes from many countries, so there is great variety. The wide range of choices is one of the charms. There are general characteristics in each style, however, which differentiate them. Books - Some of these books are out of print. If you ever see them in a bookstore, flea market or on the web, buy them, they are priceless. Check my booklist for more books on belly dancing. 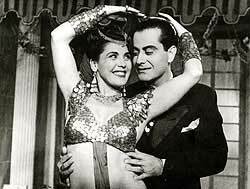 Excellent resource on the history, mystery and origins of belly dance. Has sections on purely movemental dance, gymnastic dance, imitative dance, dramatic dance, lyrical dance, funeral dance, religious dance, accompaniments of the dance, dance with musical instruments, movements of the legs, arms, and trunk, costumes of the ancient Egyptian women and men dancers, a note on the historical development of the ancient Egyptian art of dancing, and a note on the Egyptian dances, as performed by modern women dancers. "Belly Dancing, the serpent and the sphinx" by Wendy Buonaventura. This beautifully illustrated book is a pot-pourri of myth, history, anecdote, travelers tales and accounts by belly dancers today. "Looking For Little Egypt" by Donna Carlton. This book is very well written. The author did a lot of research before writting this book. "The Oldest Dance" by Zarifa Aradoon. Orgins and philosophy of Danse Oriental [commonly known as belly dancing]. Includes discussions of the dance as seen by foreign travelers. "The Rom: walking in the paths of the gypsies" by Roger Moreau. The author's account of his efforts to research the history of the Rroma, especially those aspects that are still not completely understood by modern-day Gypsiologists. "Serpent of the Nile: women and dance in the Arab world" by Wendy Buonaventura. Explores the history of belly dancing from ancient times through the resent. 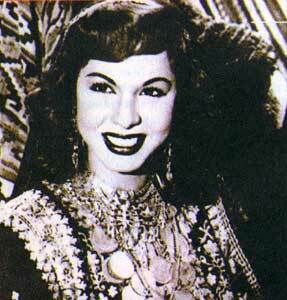 Web Sites - The below web sites touch on the history of belly dancing. 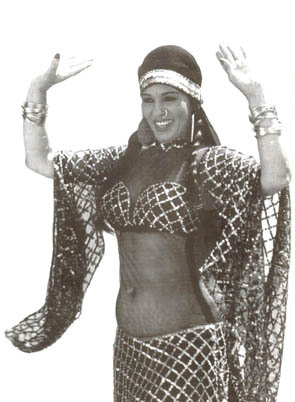 Belly Dance: history, heritage and memoirs - from Soraya's web site. 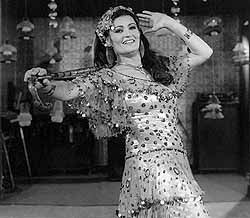 History of Oriental Dance - Books, music, FAQ's and articles about the history of belly dancing. From Shira's website. Spiritdance - website deals with dance styles, costumes and instruments dealing with Raks Sharqi. Helene Ericksen - her website contains a lot of information, both in text and photos, of dances from various countries. Styles of Belly Dance in the United States - Overview of the different styles of dance within the U.S. Contains terminology, structure of dance, finger cymbals and type of dance moves to name a few. From Shira's web site. Discussion of floorwork - FAQ's from Middle Eastern Dance Resource Guide. Origins Misunderstandings - FAQ's from Middle Eastern Dance Resource Guide. Hagallah - The folkloric dance of celebration known as the hagallah is performed by the settled Bedouin (bedu) of Mersa Matruh in Western Egypt and is often performed during the date harvest, which is the wedding season in that area. Snake Dancing - FAQ's from Middle Eastern Dance Resource Guide. Snakeskin - Lynette from Snake Skin Studio informs her readers about snakes, also a photo gallery containing artwork of ancient women & snakes. That Snake Charmer Song - History of the "Snake Charmer" song. You know the one, that very annoying sound that has nothing to do with the Middle Eastern Dance. Listen to the song recorded by Carl Stevens and His Circus Band and other artists. From Shira's Site. Guedra - FAQ's from Middle Eastern Dance Resource Guide. The Zar - FAQ's from Middle Eastern Dance Resource Guide. Dance of the Seven Veils and Salome - FAQ's from Middle Eastern Dance Resource Guide. Veil - Information on American night club, Tribal Fusion and Egyptian Raqs Sharqi viel work. From Shira's web site. 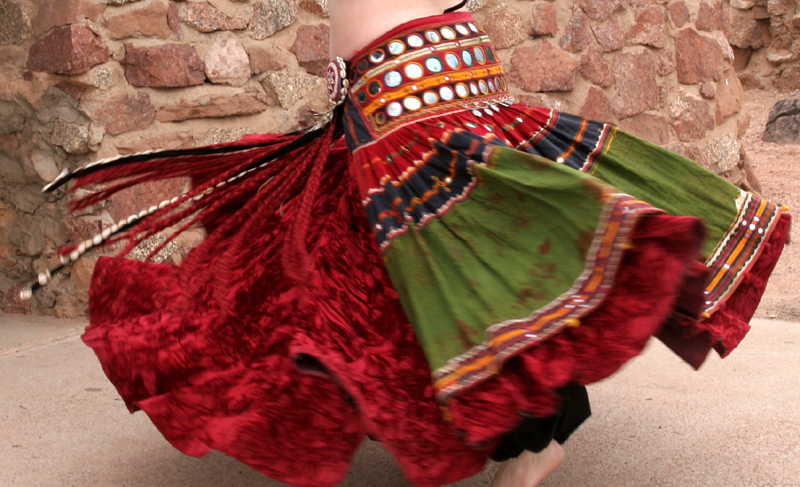 Veil Dancing - FAQ's from Middle Eastern Dance Resource Guide.